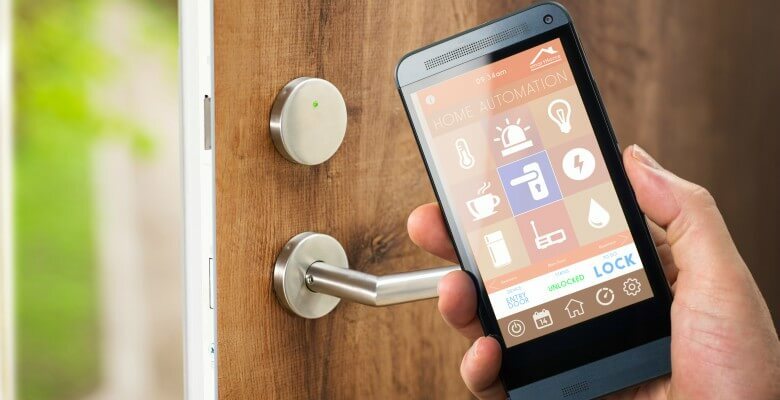 High-tech / smart locks are the future and we are here to provide high-quality installations and repairs at prices that won’t break the bank! It is very fitting that Space City, home of the Space Center, is also home to one of the top experts in the high-tech world of keyless entry locks. When most of us think about locks, we picture a traditional padlock or deadbolt that can only be opened with the turn of a key. Most home security systems still include these old-fashioned locks. But in modern times, keyless entry systems have grown in popularity, providing extra security to home and business owners. As the name implies, keyless entry systems have no physical key. Instead, users punch in the password on the keypad to gain access. Many traditional locks can be picked with an expert lockpicker, but keyless entry locks are different. If you don’t have the code, you’re not getting in. 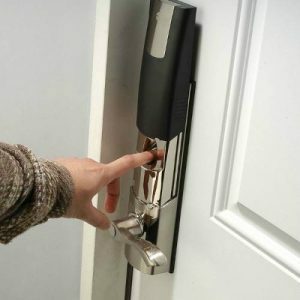 Advanced options include digital keys that allow you to open the door with your smartphone and we even offer options for biometric lock systems. And with no physical key to be stolen, you can rest a bit easier knowing that access to your home or business is restricted to only a select few. Not to mention, smart locks are a great option for anyone that has a habit of misplacing their keys. If you’re looking for lock services that you can count on, we’re waiting to take your call. Houston Locksmith Pros offers some of the best 24-hour locksmith services in the area, with a trained staff of professionals and expert tools to make repairs and installations a breeze. Whether you’re looking for someone that installs commercial security systems, or you need repair work for your high-tech locks, we provide a wide range of services to suit every need and budget. We offer full installation and repair services for keyless entry locks, as well as more traditional locks and security systems. If you want to learn more about what type of high-tech lock system might be right for you, our friendly customer service team is standing by. If you need immediate emergency lock service or want to make an appointment to discuss updating your security system for your home or business, you can contact us 24/7! At Houston Locksmith Pros, we strive to offer the best locksmith services in the area. When you need assistance, don’t hesitate to give us a call. We’re proud to have your business.